London has been the home of some of the best live music venues any music lover could wish to visit. Artists such as David Bowie, Amy Winehouse, The Libertines have all called London home at some time in their life. London is full of bars and clubs that are also live music venues, many of which are well worth seeing. 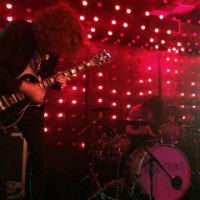 From venues full of emerging local talent, to some of the larger spectacular stages, here are just a handful out of the thousands of live music venues that London has to offer. The historic Royal Albert Hall in South Kensington each year hosts almost 400 shows in its main auditorium, entertaining visitors numbering up to 5,272 at any one time. Perhaps best known for hosting the Proms concerts each summer, many bands have filmed live concerts from the venue, though not all musical events are held in the auditorium. An additional 400 events are held each year in the non-auditorium spaces including The North Circle Bar and the Elgar Room which are also open for concerts. Free Friday Music events take place in the Italian kitchen. Originally built to serve Irish immigrants working on the nearby railway, The Dublin Castle is one of London’s famous bars, and the best known of the live music venues in Camden Town. Musicians who have visited the stage include Madness (then known as the Camden Invaders) who played here in 1979 which secured a residency from which they established their reputation. Later, it became an important venue in the early stages of the careers of Arctic Monkeys, The Libertines and The Vaccines and was an important venue for Britpop acts in the 1990s. Live music events take place from Wednesday to Sunday every week. Tuesday nights are open jam nights hosted by local band Redwire. Voted London's Best Live Music Venue by Time Out magazine, the Union Chapel has been one of London’s most attractive live music venues since it began in 1992. Each year there are hundreds of events including great gigs that make the most of the amazing acoustics and gorgeous Victorian Gothic architecture. Some of those who have visited and played the stage here are Tom Jones, Beck, Youssou N’Dour, Amy Winehouse, Noel Gallagher, Elton John and Philip Glass and many more. This is a great venue to celebrate a birthday. The Half Moon is a bar and another of London’s music venues on Lower Richmond Road, Putney. Everyone wants Half Moon on their gig schedule because of it’s esteemed history. The venue has hosted live music every night since 1963 and today has an eclectic line-up of quality musicians. Some of the biggest names in popular music have performed there, including The Rolling Stones, and The Who. The Half Moon has been at the centre of not only the emerging music scenes but continues to host the big names. Residencies at the Half Moon were offered to Elvis Costello, John Martyn, Roy Harper and more. Other stand-out gigs include k.d. lang's first UK appearance and the first ever public performance by Kate Bush. The largest music venue in London has hosted almost all the current greats from Adele to Led Zeppelin. Based at Greenwich Peninsula in south east London, the O2 is one of the busiest music arenas in the world in terms of ticket sales, handling almost 2 million tickets each year. In 2010, the venue won the London Lifestyle Awards – London's Live Music Venue of the Year. Prior to rebranding in 2016, Camden Assembly was known as Barfly, one of the best live music venues in London. The Barfly regularly hosted bands on the verge of making the leap to the big time. The venue continues to be a music venue today and has a capacity of 200. Often, lesser known touring bands play here, bands that are more likely than most to be the next big thing. Prior to 2000, the flagship Camden venue had been known as The Monarch, which had hosted live music gigs since the 1980s, becoming a regular venue for Britpop bands.